Omorovicza Ultramoor Mud Mask: Regular readers will know that I am a HUGE Omorovicza fan. I've repurchased this mask several times since I first received it around two and a half years ago when I described it as Spanx For Your Face. This mud mask deeply cleanses the skin, drawing out impurities, but what sets it apart from other mud or clay masks, is that it also firms the skin. Formulated with hungarian moor mud (to detoxify the skin), clay (to draw out impurities), Marine exopolysaccharides derived from plankton (to plump the skin), essential oils of sage, rose geranium, chamomile and rosemary (to cool the skin) and Omorovicza's patented Healing Concentrate (to soothe the skin), this mask tightens the skin at the same time as deeply cleansing an lightly exfoliating. My skin always looks clear, bright and tight after using this mask. Cult Beauty/Omorovicza/Look Fantastic/Feel Unique. Oskia Renaissance Mask: Another long term love, that I have repurchased numerous times because I love the effect that this has on my skin. It uses fruit acids and lactic acid to exfoliate and renew the skin. It has a balmy texture that changes colour when applied to the skin - once it turns from peach to white, you know that it has started to work so you leave it for around 15 minutes (less if your skin isn't used to chemical exfoliators). This mask always leaves me looking like I've had a facial because my skin feels smooth and soft, looks plump and is glowing. Even those with sensitive skin would love this mask. Cult Beauty/Look Fantastic/Feel Unique. Heaven Skincare Bee Peel: Holy Moly, this is an active mask! It is formulated with raw cane sugar, organic coconut and ABEETOXIN® (the patented ingredient of all Heaven skincare, which contains bee venom), this mask exfoliates, brightens and smooths the skin. It tingles pretty quickly so I would recommend that those with sensitive skin leave it on for only 1 minute but even at that, you will still see immediate results as skin looks brighter with refined pores. You can leave for up to a few minutes if your skin is used to chemical exfoliators but I wouldn't recommend leaving for more than 5 minutes. This really is a quick fix mask for glowing, smooth skin. Ecooking Peeling Mask: This mask combines salicyclic, glycolic and lactic acids to deeply cleanse and exfoliate the skin. I know that when I use this, those annoying little bumps under the skin along the jawline disappear. I also find that pores are refined and my skin is left feeling baby soft. This mask works very quickly so stay within the recommended guidelines of 4-6 minutes initially before building up to 15 minutes. When I remove this mask, my skin is always left looking red but without a hint of irritation or the burning feeling that usually associates redness. It always dissipates but for this reason, I recommend using this mask in the evening or when you don't have to go somewhere immediately afterwards. Cult Beauty/Feel Unique. Omorovicza Midnight Radiance Mask: When I use this mask, I know that I am guaranteed a good skin day the next day. It contains salicylic acid, which is a BHA meaning it can penetrate the pores more deeply than an AHA. It is ideal if you feel like you might have a spot brewing but it also helps to fade acne scarring and refine pores. It has a gel texture but it dries quite quickly so you don't need to worry about your face sticking to your pillow! Skin is left smooth, bright and almost translucent because it's so clear but there is no redness or stinging sensation. This is definitely one of the best face masks I've ever used. Cult Beauty/Look Fantastic/Omorovicza. 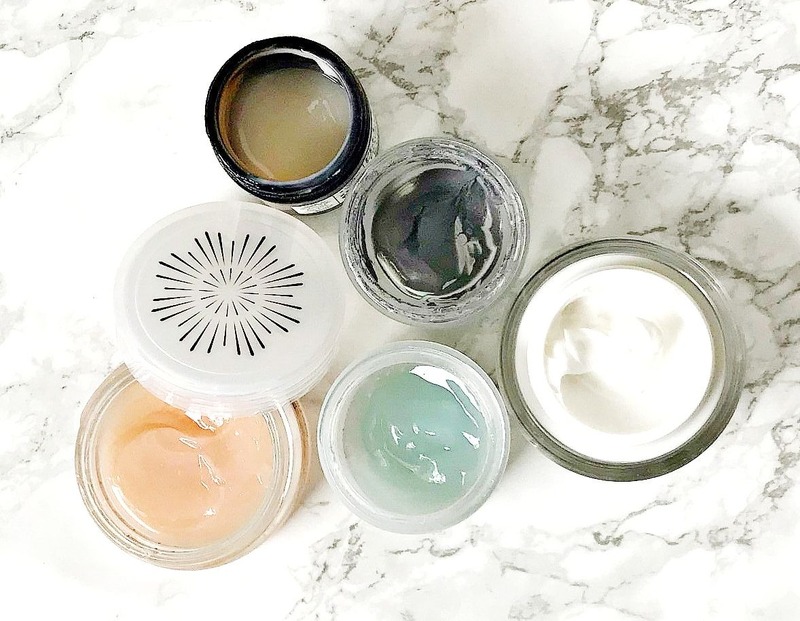 Are you a fan of face masks? Have you tried any of these? I would love to hear what your favourites are? All products are bought by me, unless otherwise stated. The Heaven skincare and Ecooking masks were kindly sent to me. Opinion is always my own. Affiliate links may be used.